Social Media: The Next Major Forex Player? If I were to ask you to put a face to the major players involved in foreign exchange, you’d probably think: Male, 50’s or 60’s, graying at the sides, stern faced, three pieced suit, European. Right or wrong, I’d bet any currency you want that you didn’t conjure up a 25 to 35 year old male with long hair, jeans, and some extra cash to burn on the side. Yet, if social media continues to infect the forex market as it has begun to do, the latter image could very well be the “face” of the next major FX player. How could this be? Let’s backtrack slightly to put things in perspective. Central Banks – Control countries’ monetary policy with the attempt to grow their respective domestic economies. Banks – Trade billions each day in hedging maneuvers or in speculation attempts to capitalize on price fluctuations. Multi National Corporations – With global business operations, forex is an excellent tool for MNC’s to mange payments of international accounts. Hedge Funds – The massive liquidity of forex makes it an irresistible market for large fund managers to dedicate significant portions of their portfolios toward currency speculation. Retail Brokers – Usually individuals or small groups managing multiple accounts for a total daily trading volume averaging in the billions. Speculators – These are the individual traders who attempt to profit through the close watch of currency pair movement by buying or selling pairs based on pricing trends. Although forex is technically a completely free market – in theory leaving all six major categorical players operating on a level playing field – there remains a perceived difference, in much of the public’s view, between the first five institutional players and the individual speculator/trader. Having an a prior understanding that every major player has their own modus operandi in foreign exchange (central banks -stabilize, MNC’s – hedge, fund managers – speculate etc. ), many would-be traders believe that the individual speculator suffers from a significant handicap next to these forex juggernauts in two key respects. First, your average individual trader often lacks the deep financial coffers available to larger institutions, affording them a far smaller margin for error. In an aggressive bull market, such security protection can lead to risky pair movement trends triggered by larger institutions that individual traders should be more cautious of, when considering whether or not to jump on the trend wagon. Of course free market defenders will say that individual traders should know better and be more incisive in their trading, pinpointing the particular nature of specific catalysts driving major market shifts instead of behaving more like a sheep in a wolf pack. The fact remains however that the individual trader needs to proactively search for the what, when and where of market influencing forces while larger institutions have entire teams dedicated to these tasks. Which bring us to our second handicap, mainly lack of manpower and the subsequent knowledge gap. Large institutions have top professionals scouring the news for trend indicators and are perpetually planning their strategies based on informed daily, monthly and quarterly outlooks – while at the same time maintaining a diligent watch for unforeseen game changers. Certainly the same information (if not the expert factorial analysis) is out there for the sophisticated trader to pick up himself. However, for the uninitiated, who have no clue as to what to be looking for, let alone where to find it, this reality created a stigma fostering trepidation amongst would-be traders and a degree of cynicism amongst novices. So, the rise of the internet saw the dismantling of one barrier preventing average people from entering forex (lack of adequate funds to afford a brokering service), only to be replaced by another (lack of knowledge and resources for informed and influential trading). In some ways, this new barrier was seen as even more restrictive than its predecessor in that it took the form of a perception. Born and harbored by the online user themselves, in their mind, online brokerages were viewed as borderline versions of respectable brokerage houses – at best, or a slightly more dressed up version of online gambling – at worst. However, just as the advent of the internet has removed the physical barrier to forex, social media is steadily removing the perceptual barrier, and all accompanying stigmatisms to boot. The ability to collaborate trading strategies and market predictions while tapping the overall global knowledge base, are all advantages social media is bringing to the table for online trading firms. Social media established the infrastructure necessary for a truly global online forex community that could eventually lead to a virtual collective trading block, matching (and potentially dwarfing) the trading power and influence of those major institutions we mentioned earlier, when it comes to driving market shift. eToro – eToro is an online broker, connecting its internal community via a built in chat feature to their platform. The chat allows eToro members to canvas anyone else on the platform for insights into choice currency pairs, daily trends, trading strategies or anything else people are willing to share over a chat network. They also provide an inside look at their top traders’ current positions on major currency pairs, giving new traders a peak at what’s hot amongst the pros. Currensee – Currensee is not an online broker but rather an information sharing platform. Its goal is to make it easy for traders with similar trading interests to find each other and connect. Connected traders from different parts of the world not only share insights and strategies, but can actually see each others’ positions in an easy to read layout, allowing them to collaborate efforts in a team-like framework. Like eToro though, you have to be a member in order to take advantage of their service. Easy-Forex– easy-forex is an online dealer who opted not to reinvent the wheel, and instead has taken full advantage of all major social media outlets to create a highly active community of traders. YouTube is used to post recaps of yesterday’s activity and expected trends for the coming trading day, while a daily blog provides expert views and advice on the latest news and events. An active discussion group is maintained on LinkedIn and is used to engage other industry experts while forming strategic connections at the same time. Facebook is used as a central hub for their community providing easy-forex with a direct line of communication with its members and also gives members a way of connecting with each other. Twitter as well is used as a quick way to disseminate real time trading updates to their followers in the form of news, tips and any other useful tidbit able to be summed up in 140 characters or less. Using the most popular third party social media outlets instead of in-house platforms has significantly broadened easy-forex’ reach, allowing them to experience significant community growth since beginning their social media drive. 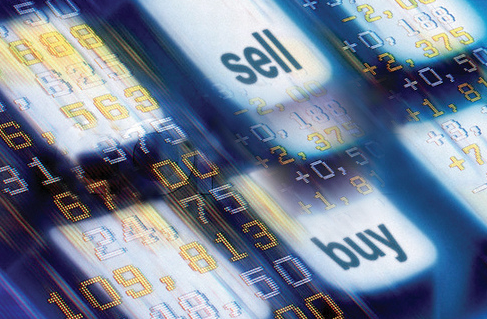 Daily Forex – Daily Forex is also an information service and does a decent job of making order out of chaos. By providing guides and reviews for the many forex resources on the web, Daily Forex helps online users evaluate the various brokers, courses, auto trading platforms and signal providers, so users can choose what best suits their individual needs. They also post news updates and informative articles on everything to do with forex. All these social media efforts add up to a major trend shift in the focus of online forex service providers. Aware of the stereotypes created when forex suddenly opened up to the average person, Online trading companies are quickly racing to close the gaps that make individual trading any less of a rewarding experience than that of trading with a major institution. They’re also coming to the collective conclusion that social media is the best route to achieve this goal. Strategies like the ones we depicted, especially those that keep an eye out for the most popular current social media tools like Facebook, LinkedIn and Twitter, have the best chance of not only bringing online forex to the same respected level as that of a traditional brokerage house, but can even go as far as to create a new breed of “major player” in the FX market, one of the people and for the people. C’mon, just the possibility of seeing central bank officials in jeans and T-Shirts is enough to want this to work.